Good day fight fans, after a long haul of card shuffling the UFC is bringing another event to the Pay Per View airwaves this Saturday night. With Welterweight Champion GSP pulling out with a rare injury, this card has lost it’s original main event several times now. The card is now headlined by a still very intriguing bout between Welterweight boxing specialists and Jiu Jitsu masters BJ Penn and Nick Diaz. Tyson Griffin is a strong and compact wrestler who was doing well in the UFC’s ultra-stacked 155 pound division. However, three straight losses caused him to return to his former weight class at 145 pounds. In his Featherweight debut for the UFC he defeated Manny Gamburyan via Majority Decision. Griffin is a strong wrestler who trains with the Xtreme Couture camp in Las Vegas, Nevada. He is a short and stocky fighter with decent power, but a suspect chin. Over the years Griffin has shown improvement in his stand up skills, but his bread and butter is still the ground game and his smothering top control. Bart “Bartamus” Palaszewski is a Polish American fighter, who fights out of the Team Curran gym in Illinois. He is a boxer and Brazilian Jiu Jitsu fighter, with a black belt in Brazilian Jiu Jitsu under Jeff Curran. Palaszewski is a very experienced fighter with over forty career bouts on his resume. He will be making his UFC debut in this fight. He has strong technical boxing skills and excellent grappling credentials. Against a strong wrestler like Griffin, it will be tough for him to get on top, but if he does, he will likely be able to exploit Griffin and work him over on the mat. A good friend of mine actually likes the underdog in this fight a lot. Despite trying to find a reason to agree with him, I can’t seem to find one. Dennis “The Menace” Siver is a German and Russian fighter who is a former Sambo fighter and Kickboxer. He is currently riding a four fight winning streak including wins over George Sotiropoulous and Matt Wiman. Donald “Cowboy” Cerrone is a very talented fighter, who has never seen a punch he didn’t want to take on the chin. The American fighter is a strong Muay Thai Kickboxer with strong wrestling and a lot of grappling talent. Hatsu Hioki is one of the best Featherweight fighters in the world. The Japanese fighter is a Brazilian Jiu Jitsu fighter with top level grappling skills. He is a former TKO and Shooto World Champion at Feathweight. He holds a career record of 24-4-2 with 16 stoppage victories. Hioki has strong boxing skills, but uses it sparingly in his fights. He prefers to use his stand up to close the distance and work the fight to the mat, where he is an extremely aggressive grappler. He constantly pressures to pass guard, searching for dominant positions where he can unleash ground and pound or grab for submissions. George Roop is a kickboxer who is relatively lanky for his weight class. He is a former pupil of Team Tompkins. He will be fighting for the first time since the death of his coach and mentor, making it tough to tell how much the recent death of Tomkins will factor into his mindset enterring this fight. Roop uses his range and a strong jab to establish control of the Octagon while using his size and reach advantages to threaten with big knees and strong kicks. Scott “Young Guns” Jorgensen is a former college wrestler who now fights out of Boise, Idaho. Jorgensen is an extremely aggressive young fighter who is always moving forward behind his power punches. He also blends a fair amount of takedowns to control his opponents on the mat and works his ground and pound to search for a stoppage victory or simply to batter his opponents and win rounds on the judge’s scorecards. 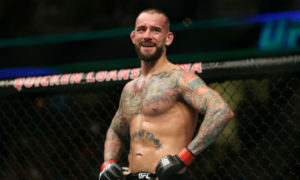 With a career record of 12-4, he has proven to be an upper-tier Bantamweight fighter, in his last fight, his UFC debut he demolished Ken Stone, winning by KO in the first round. Jeff “Big Frog” Curran is a 34-year-old veteran of the fight game. 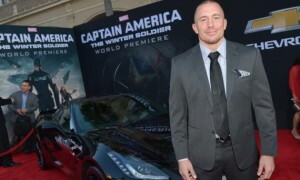 He is most well known for his talent in Brazilian Jiu Jitsu, where he is a 2nd degree black belt. He runs his own gym and fighting team out of Island Lake, Illinois, where he is the coach of his cousin and Bellator tournament standout Pat Curran. During his last run in the WEC he had a tough time going 0-4, however those losses were all to elite level fighters, including Mike Brown, Urijah Faber and Joseph Benavidez. Curran will look to use his boxing to set up a takedown and get on top of Jorgensen, where he should hold a grappling edge. I think this line is fairly well set. Cro Cop is basically just a shell of his former self. Despite all of his interviews saying he’s back in shape I will simply not believe it until he shows it to me in the cage. This is likely his swan song fight. He is entering the fight coming off of back-to-back KO losses and has looked discouraged in his past few fights. Roy “Big Country” Nelson has all of the tools to beat an out of shape and over the hill Cro Cop. Nelson possesses strong grappling skills with a black belt in Brazilian Jiu Jitsu. He also has solid stand up skills, with a strong ability to counter punch. Cheick “The Darkness” Kongo is a French fighter from Paris. He has been training in martial arts since he was 5 years old, when he started learning Karate. Kongo has strong stand up skills from his time spent training Muay Thai and Pencak Silat. Kongo has also shown some improvement in his wrestling and grappling skills in some of his most recent fights, choosing to take his opponents to the ground and work ground and pound against them. He is also the only fighter to make it to a decision against the reigning UFC Heavyweight Champion Cain Velasquez. Matt “Meathead” Mitrione, is one of the Heavyweight division’s most intriguing talents. At 33-years-old he is by no means young, but he is certainly a rising prospect. He is a former professional football player who made the transition to MMA later in his life. He was a cast-member of the Heavyweight season of the Ultimate Fighter, where he entered the house with no professional MMA experience. Despite losing in the semi-finals of the show, Mitrione has gone undefeated since, running his record to 5-0. He has shown improving stand up skills, as well as a strong wrestling base. Nick Diaz has the story you’ve been hearing leading up to this fight the whole time. Somewhat crazy, hates the media, refuses to “Play the game” as Dana White calls it. Diaz was scheduled for the original main event of this card, but lost his spot after skipping two media conferences. He was then re-inserted into the co-main event to battle BJ Penn after Penn’s initial opponent Carlos Condit took Diaz’s spot in the main event. Diaz has openly complained about the switch, but has still managed to do a decent job of hyping up this fight against Penn and still hyping a potential future match against GSP, by calling him a slew of derogatory names. The point still remains that Diaz is entering this fight on a huge roll, winning his last ten fights, not losing since 2007. Diaz has a swarming boxing style. Throwing a high number of punches to batter and rattle his opponent and although no individual punch does a lot of damage, the accumulation of damage adds up as he continues to throw. Diaz actually is one of the best body punchers in the sport of MMA, as most fighters rarely use body punches to wear down their opponents, but Diaz uses them frequently. On the mat, Diaz has black belt level Jiu Jitsu and is extremely dangerous off of his back. Using his long limbs and a very active guard, he is a handful for anyone who takes him to the mat. BJ “The Prodigy” Penn is one of the most successful fighters of all time. He is one of the best BJJ practitioners in the sport of MMA today. He also has strong defensive wrestling skills and great balance, all which he uses to keep his fights standing. On the feet he has strong technical boxing skills, with a strong use of the lead jab and big power in both hands. He has found success in the UFC both as a Lightweight and a Welterweight as he is a former UFC Champion in both weight classes. Penn is entering this fight off a Majority Draw against Jon Fitch in a fight that he dominated the first two rounds, before gassing out and being completely outworked in the third, by the much larger Fitch. Diaz will have a 4-inch reach advantage and in a fight that is likely to take place mostly in the stand up realm is relatively significant. Diaz is also the more active fighter standing and actually holds a couple of records on CompuStrike for most punches thrown and most punches landed in a single MMA round. Penn is likely the harder puncher of the two, but both have extremely strong chins and their Jiu Jitsu will likely cancel each other out. So this fight is likely destined for a judge’s scorecard. I think this fight is extremely close, a near 50-50 split. So I’m taking the underdog Diaz in this one. Getting +120 in a fight that should be a near pick ’em is a bit of a gift, so I’m going to hit this one fairly hard.